UL and cUL certificate for D1040, D1041, D1042, D1043, PSD1001, PSD1001C, based on Divisions and Zones classifications. Pattern Approval Certificate of Measuring Instruments. no. 10863. Valid until 31 January 2022. INMETRO Certificate DNV 13.0106 X. Valid until 06/08/2019. INMETRO Certificate DNV 13.0108X. Valid until 10/12/2019. INMETRO Certificate DNV 13.0110 X. Valid until 10/09/2019. INMETRO Certificate DNV 13.0135. Valid until 10/12/2019. DNV Maritime Type Approval Certificate No. A-14279 according ships and offshore standards. Valid until 30 June 2019. DNV-GL Maritime Type Approval Certificate No. TAA00001U0 according ships and offshore standard. Valid Until 3 October 2023. Certificate No: MIL20769-EL001 for Marine applications. Valid until August 2022. Issued by Korean Register of Shipping. Certificate No: MIL20769-EL002 for Marine applications. Valid until July 2019. Issued by Korean Register of Shipping. Certificate no. CERT-10077-2002-AQ-MIL-SINCERT from DNV Italia. Valid until 1st February 2020. Certificate no. Presafe 15 ATEX 192544Q - Production Quality Assurance Notification. Valid until 1st February 2020. TÜV Certificate No. : C-IS-236198-09. Compliance with EN/IEC 61508:2010. Pattern Approval Certificate of Measuring Instruments. IT.C.34.541.A no. 62656. Valid until 24 June 2021. Pattern Approval Certificate of Measuring Instruments IT.C.34.001.A no. 42154. Valid until 11 March 2021. Pattern Approval Certificate of Measuring Instruments. IT.C.34.001.A no. 42981. Valid until 18 March 2021. Pattern Approval Certificate of Measuring Instruments. IT.C.34.001.A no. 50364. Valid until 04 April 2018. FMEDA and Proven-in-use Assessment for Analog Signal converter D1053S. TÜV Certificate No. : C-IS-236198-02. Compliance with EN/IEC 61511. Summary table of all certified modules attached. TÜV Certificate No. : C-IS-183645-02. Compliance with EN/IEC 61508. Valid until July 30th 2013. Summary table of all certified modules. TÜV Certificate No. : C-IS-236198-03. Compliance with EN/IEC 61508:2010. Summary table of all certified modules. TÜV Certificate No. : C-IS-224248-01. Compliance with EN/IEC 61508. Summary table of all certified modules attached. TÜV Certificate No. : C-IS-236198-04. 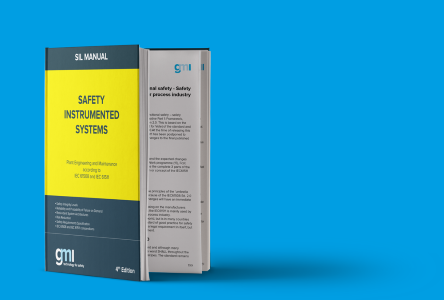 Compliance with EN/IEC 61508:2010. Summary table of all certified modules attached. TÜV Certificate No. : C-IS-722134640-01. Compliance with EN/IEC 61508 ed. 2.0. Summary table of all certified modules attached. TÜV Certificate No. : C-IS-272994-01. Compliance with EN/IEC 61508. Summary table of all certified modules attached. TÜV Certificate No. : C-IS-722160171. Compliance with EN/IEC 61508 ed. 2.0. Summary table of all certified modules attached. TÜV Certificate No. : C-IS-722134640-02. Compliance with EN/IEC 61508 ed. 2.0. Summary table of all certified modules attached. Certificate of Compliance no. 3024643, according FM Standards. Certificate of Compliance no. 3029921C, according CSA standards. Certificate of Compliance no. 3046304, according FM Standards. Certificate of Compliance no. 3046304C, according CSA standards. UL and cUL certificate for D1010, D1020, based on Divisions and Zones classifications. UL and cUL certificate for D1014, D1034, based on Divisions and Zones classifications. UL and cUL certificate for D1030, D1031, D1130, based on Divisions and Zones classifications. UL and cUL certificate for D1032, D1033, based on Divisions and Zones classifications. UL and cUL certificate for D1052, D1053, D1072, D1073, based on Divisions and Zones classifications. UL and cUL certificate for D1060, based on Divisions and Zones classifications. UL and cUL certificate for D5011, D5014, D5034, based on Divisions and Zones classifications. UL and cUL certificate for D5020, based on Divisions and Zones classifications. UL and cUL certificate for D5030, D5031, D5032, based on Divisions and Zones classifications. UL and cUL certificate for D5036, D5037, based on Divisions and Zones classifications. UL and cUL certificate for D5040, D5048, D5049, based on Divisions and Zones classifications. UL and cUL certificate for D5062, based on Divisions and Zones classifications. UL and cUL certificate for D5212, based on Divisions and Zones classifications. UL and cUL certificate for D5263, D5264, based on Divisions and Zones classifications. UL and cUL certificate for PSW1250, PSS1250, based on Ordinary Location.